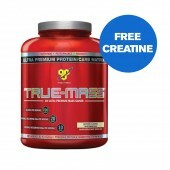 Quality Mass Through Premium Proteins and Nutrient-Dense Calories! Optimum Nutrition is proud to bring you Pro Complex Gainer - the worlds premier "lean gainer" supplement. 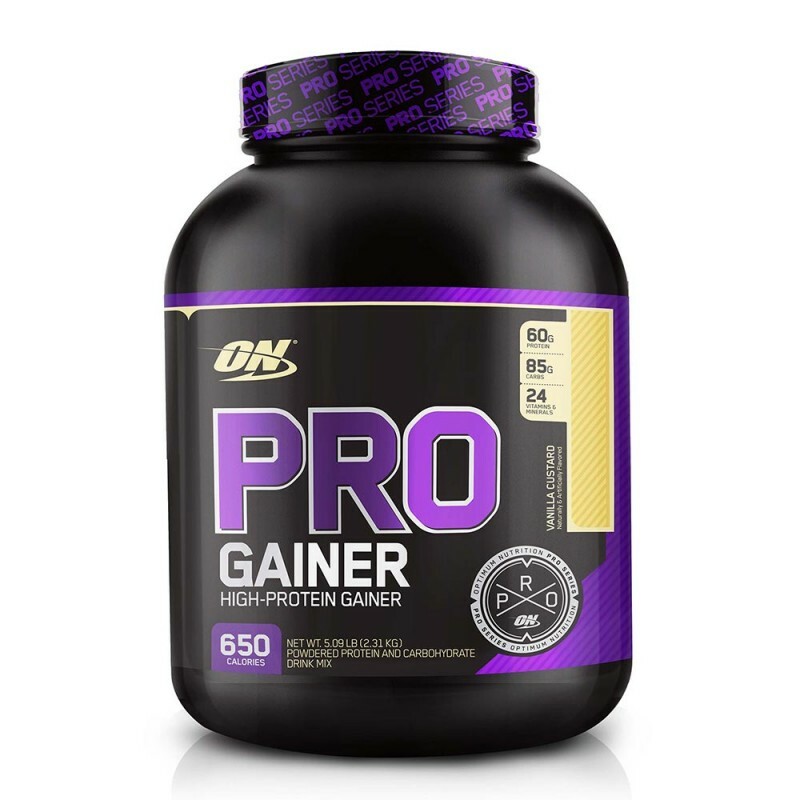 Unlike typical weight gain formulas, ON Pro Complex Gainer derives a much higher percentage of its calories from protein. And, while some "ultra-hardgainers" require 1000, 1200, or even 1500 calorie/serving weight gain products, many athletes can gain quality mass with considerably less. So, in addition to calories, ON Pro Complex Gainer provides a blend of 6 premium protein sources, complex carbohydrates, dietary fiber, lipids, digestive enzymes, vitamins and minerals. Maltodextrin, Protein Blend (Whey Protein Isolate, Whey Protein Concentrate, Calcium Caseinate, Egg Albumen, Hydrolyzed Whey Peptides, Glutamine Peptides), Cocoa (Processed with Alkali), Lipid Blend (Medium Chain Triglycerides, High Oleic Sunflower Oil), Partially Hydrolyzed Guar Gum, Natural and Artificial Flavors, Vitamin/Mineral Blend (Maltodextrin, Vitamin A Palmitate, Beta Carotene, Ascorbic Acid, d-alpha Tocopheryl Acetate, Thiamin Hydrochloride, Riboflavin, Niacinamide, Pyridoxine Hydrochloride, Folic Acid, Cyanocobalamin, Biotin, d-Calcium Pantothenate, Calcium Carbonate, Tricalcium Phosphate, diMagnesium Phosphate, Ferric Orthophosphate, Potassium Iodide, Zinc Oxide, Selenomethionine, Cupric Oxide, Manganese Sulfate, Chromium Polynicotinate, Molybdenum Amino Acid Chelate, Boron Amino Acid Chelate), Lecithin, Salt, Sucralose, Acesulfame Potassium. Ingredients vary slightly with each flavor. Drink 1-2 serving(s) between meals to encourage a positive nitrogen balance and support a high-calorie diet. Drink 1 serving of Pro Complex Gainer 30-60 minutes following exercise to support maximum recovery. Receiving proper nutrition post-workout is paramount. Don't neglect it!